To fully explain why your residential or commercial property needs a water pump and/or tank, you must understand what they are. At MLN Fire, it is our pleasure to install, inspect, and repair fire pumps and tanks for our clients. To us, safety is our top priority, which means that we handle each job with extra care and attention. While we are happy to perform our jobs, we also provide our customers with education about our services. We do this with the hope that our clients will be able to learn new things about their own fire protection systems and understand why they are so important. So, what is a fire pump anyway? Well, a fire pump is any type of pump that is part of your fire protection system’s water supply. Of course, the pump doesn’t actually create water, but it applies pressure to the water in the system. Fire pumps can be powered by electricity, diesel, or steam. Fire pumps are necessary for your fire protection, as they supply your fire sprinkler, standpipes, foam systems, and water spray systems with water pressure. Why are Fire Pumps Necessary? Fire pumps are needed for systems that don’t have enough water pressure to meet the hydraulic design requirements of the fire protection system. For example, without water pressure to your fire sprinkler systems, the heads of the sprinklers would only drip small amounts of water to just one area. With a steady supply of rapid water pressure, the water can be released over a larger area. But, when would you really need a fire pump? For commercial buildings, such as high-rise buildings, water pressure can be reduced, which is why fire pumps can be such an extreme benefit. Through the fire pump, the appropriate pressure can be applied to the fire sprinklers that are installed several stories high above the ground. Other buildings that may have issues with water pressure are storage warehouses. Why? Storage warehouses typically will need fire pumps in order to apply the correct amount of pressure to address the size of the building. Your building may also need a fire pump if the water supply for your sprinkler system is being accessed by a ground level water storage tank. Because the tank is positioned in a way that no pressure is available, you will need a fire pump to activate the appropriate amount of pressure the to sprinkler system. Fire tanks and pumps go hand-in-hand when it comes to your sprinkler system. Fire tanks are necessary for buildings that do not have direct access to a water supply and water pressure. A fire tank is necessary for homes, warehouses, and multi-story buildings where water pressure and water are scarce. Without a water tank, some buildings won’t have enough water and water pressures to sustain their water sprinkler system when set off. Why are Fire Tanks Necessary? 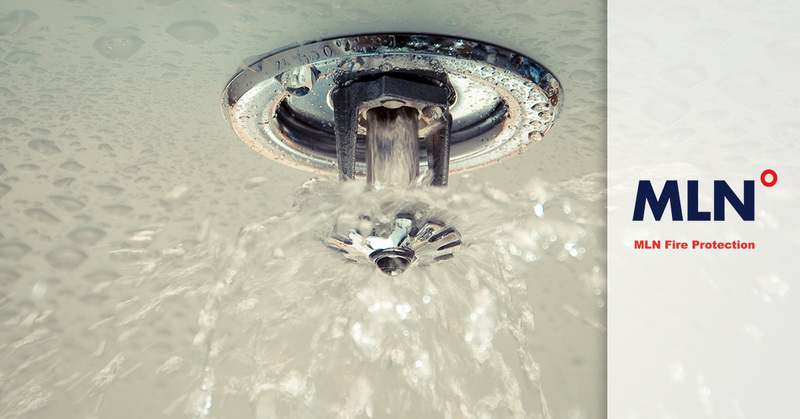 Fire sprinklers are useful for moments when a fire is present in your residential or commercial building. If a fire is present, the heat will set off your sprinkler systems. The sprinklers act like a suppression system, keeping the fire down and controlled until the proper authorities come to put out the fire. A sprinkler system is essential for not only containing a fire, but ensure that the fire does not escalate and cause more damage to other floors or room. Your fire tank is necessary for supplying your sprinkler systems with the appropriate amount of water and pressure to ensure the system contains your fire. In most cases, you will need both a fire tank and a fire pump installed at once. 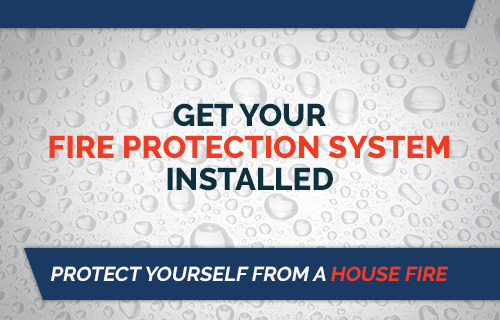 Both systems rely on each other to ensure that your fire sprinkler system is working properly. If you are at all curious about the systems and how they work, MLN Fire Protection has representatives that would be happy to answer any of your questions. At MLN Fire Protection, we are happy to offer our customers with fire safety services. This can take the form of fire tank and pump installations, inspections, and repairs. If your tank or pumps is malfunctioning, you will need to have to call an authorized repair service to fix it for you. Also, these systems must be routinely inspected to ensure their proper function. If you neglect your fire pump or tank, you may have to face serious consequences if a fire were to accidentally start. In order to protect your property, you must complete routine inspections with a fire safety service. If you are living in Houston, Texas, you are in luck! MLN Fire Protection is here to help you with all of your fire safety needs. We are dedicated to your personal safety and wish to ensure that every building we inspect has a safety system in peak functioning condition. Contact MLN Fire Protection today and see how we can enhance your buildings fire safety systems. Call today!